In this segment, the first of an ongoing series - we will look at a trending theme that people want to use for their event, but also fear losing originality. Urban industrial themes are rising in popularity as abandoned warehouses, lofts, and scenic rooftops gain traction as sought-after venues, especially in the Atlanta area. The urban industrial look can be utilized for weddings, corporate events, as well as cocktail hours or engagement parties. Because of their characterization, which incorporates bold colors, distressed elements, as well as details on the harder end of the spectrum, an urban industrial theme is a perfect non-gender specific way to attract all types of guests, and event-throwers. When considering this theme, a planner may shy away thinking it feels too ‘cold’ for an upbeat party, or that steel and wood can only look so different. However, the ‘urban chic’ motif as it is sometimes referred to can turn basically any space into a casual and relaxed environment. Making it your own is also easily achievable. 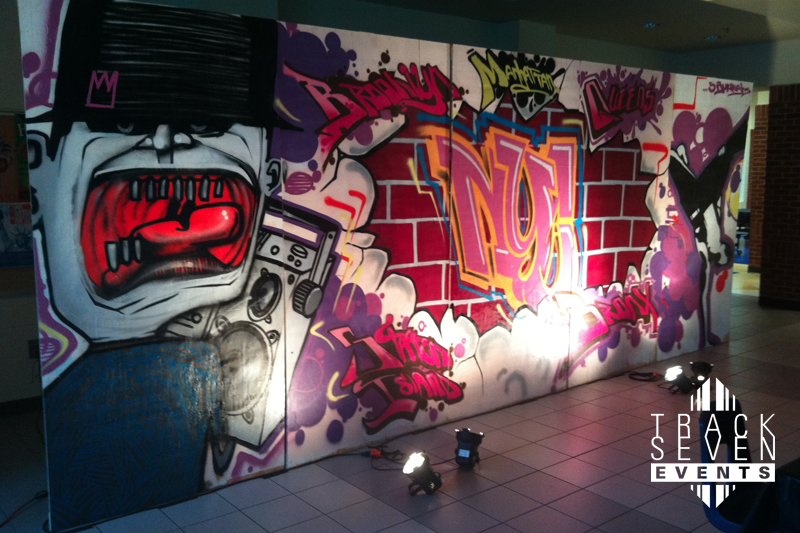 Customizable elements can be incorporated into any space, such as graffiti art on faux brick walls, where depending on the mood of the event, guests can also participate in as an activity. Bringing the outdoors inside may also be an option to explore, with fake grass and a picnic area to transform a portion of the venue into a beer garden for wine or local craft beer tastings. Custom made, vintage-inspired street signs can be utilized to direct guests to certain areas, or just provide décor. the venue, different combinations of all these components can be used to create the event you envision. As event planners, we share our clients’ goals of creating the best, and unique, experiences for them and their guests. If you have questions, or ideas regarding this, or any other theme you’d like featured on the blog, don’t hesitate to comment below. And if you’d like to learn more about incorporating this theme into your next event, contact us today to discuss the endless possibilities. Trending themes will attract people and once they are satisfied with your work, they will start refering your company to others also for their event planning work. So always make your the theme you choose for any event must be unrepeatable.